It’s the most wonderful time of the year! Those who follow me on Facebook, already saw the Xmas lights around the city. 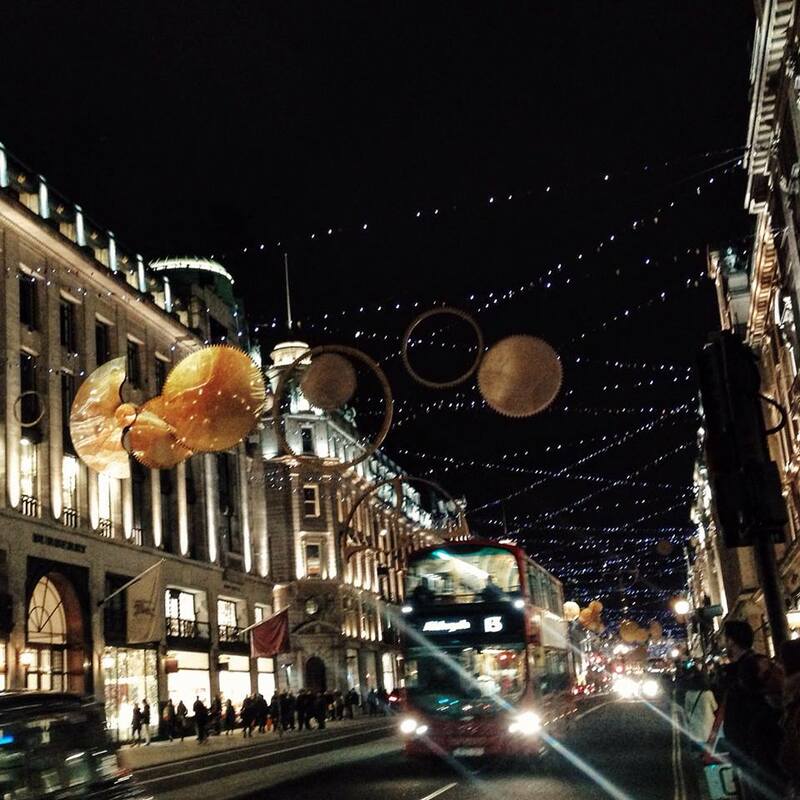 This is the perfect time to visit London and be amazed by the Christmas spirit! It’s really magic to see all the lights and window shops dressed for Chritsmas. There are a lot of Carols spread throughout the city, such as the Royal Albert Hall and St Paul Cathedral. If this is not enough, London also has beautiful Christmas markets, like the Winter Wonderland, and ice rinks to turn things even funnier. End of November, December, will always be the best times to visit London! It’s the most wonderful time of the year! Aqueles que me seguem no Facebook, já viram que Londres está completamente preparado para celebrar o natal com muitas iluminações por toda a cidade . Este é o momento perfeito para visitar Londres e ser contagiado pelo espírito do Natal! É realmente mágico ver todas as luzes e montras. Há um monte de Coros Natalicios Carols espalhados pela cidade, incluindo em lugares tão especiais como o Royal Albert Hall e St Paul Cathedral . Se isso não for suficiente para vos convencer a visitar a cidade, Londres também tem várias feiras deNatal como a Winter Wonderland, e pistas de gelo para fazer as coisas ainda com mais piada. Apesar do frio, final de novembro, dezembro, serão sempre as melhores alturas para visitar Londres! You must be <a href="https://ararapintada.com/wp-login.php?redirect_to=https%3A%2F%2Fararapintada.com%2F2015%2F12%2Flondon-xmas-lights%2F">logged in</a> to post a comment.